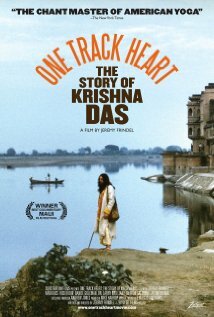 One Track Heart: The Story of Krishna Das, follows Jeffrey Kagel’s journey to India and back. Watching, I was struck by the sincerity of Krishna Das and the raw honesty of his journey. If you want to see what it means to live your passion and work in alignment with your truest self, then Krishna Das’s story is for you. Artists in particular will grow from the experiences Jeffrey Kagel went through to become a worldwide icon and bestselling chant musician. With interviews featuring Ram Dass, a world-renowned spiritual teacher; Rick Rubin, Grammy-winning producer; and Daniel Goleman, a two-time Pulitzer Prize nominee; power and wisdom is added to an already transformational story. The film begins with a young musician named Jeffrey Kagel and his decision to walk away from his role as lead singer in the band that would become Blue Oyster Cult. After coming in contact with Ram Dass, Jeffrey Kagel learned of a little known Indian saint named Neem Karoli Baba–or Maharaji. When he eventually moved to the foothills of the Himalayas in order to come face to face with Maharaji, the experience of unconditional love profoundly impacted his life. There, Jeffrey Kagel became Krishna Das. Krishna Das, also called KD, continued to use the chanting he’d done while with Maharaji to become one of the most popular singers of Indian devotional music in the world. By layering traditional Hindu Kirtan with instantly accessible melodies and modern instrumentation, he has used deeply spiritual chanting to strike a chord in even the most casual listener. Watching the film it was clear that for KD, his music is first and foremost an instrument of devotion and it is this, among other things, which helps people connect. The profound act of faith that is visible while Krishna Das is performing brought me into a space of reverence and as the film continued, I began to comprehend how he drew in other artists including Sting, Madonna, and Def Leppard drummer Rick Allen. Although One Track Heart is Jeremy Frindel’s first feature film I already know it will have a resounding impact among viewers. As the director, he sought to focus on Krishna Das the human being. Rather than making the film overtly about spirituality and leaving himself open to creating something overly sentimental and gooey, Jeremy Frindel was able to show the dynamic highs and lows of who Krishna Das is and how he came to be called yoga’s “Rock Star.” This is good news for those who aren’t looking to be “preached at.” Even having never heard of Krishna Das (as I hadn’t when the film started), watching the overwhelming arc of KD’s life, his music, and the thousands of people he has affected along the way, invites us to reflect on what we are capable of achieving in our own lives. One Track Heart: The Story of Krishna Das is open in theaters now.